What is FERTINNOWA all about? 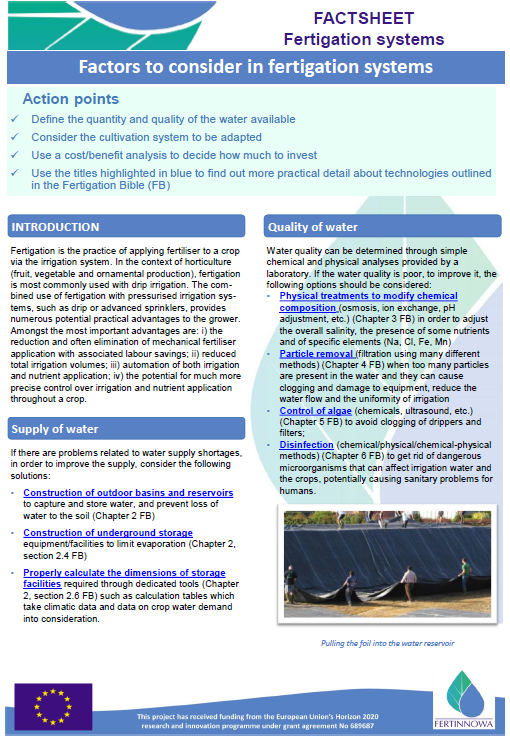 In European countries, the cultivation of fertigated crops frequently suffers from a scarcity of water, and the intensity of cultivation poses significant potential risks to water quality. Innovative technologies and knowledge are available, but simply not implemented at the farms level. That’s where FERTINNOWA comes in! The three main topics of the FERTINNOWA project are as follows: 1) water sources; 2) water (re)use efficiency; and 3) end of pipe solutions. Several gaps herein were identified: 1) the gap between scientific knowledge and its use in practice; 2) the lack of exchanging experiences between regions and sectors; and 3) the lack of applications of industrial knowledge and development and its use in agricultural applications, et cetera. Together the partners will take important steps to close these gaps by looking for solutions that can be exchanged. FERTINNOWA will apply a bottom-up approach. First, they will identify the existing bottlenecks at farms, after which they will look for concrete solutions that can be made available to farmers. Technologies from other sectors will be evaluated for their suitability to solve existing gaps. 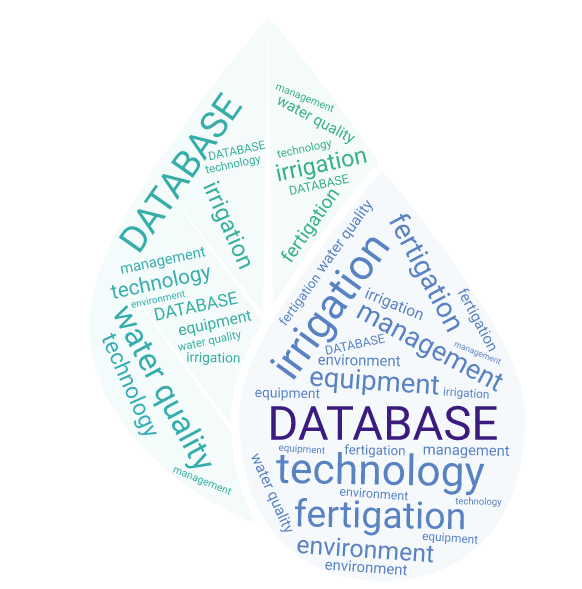 To fulfil these goals, FERTINNOWA will create a meta-knowledge database of innovative technologies and practices for the fertigation of horticultural crops. FERTINNOWA will also build a knowledge exchange platform that will help evaluate existing and new technologies (innovation potential, synergies, gaps, barriers) for fertigated crops. This will ensure wide dissemination to all stakeholders involved in the most promising technologies and best practices. A multi-actor integrated approach will be used for the entire FERTINNOWA platform that will involve various stakeholders (growers, researchers, policy-makers, industry, environmental groups etc.) at several levels including the socio-economic and regulatory level (both national and European) with a special focus on the EU Water Framework Directive and Nitrate Directive. Information will be gathered at national level to feed a European benchmark study that will evaluate and compare existing technologies used at various horticulture sectors. From 2017 on partners will be introducing these innovative solutions at farms where they will be showcased during the 2 last years of the project. 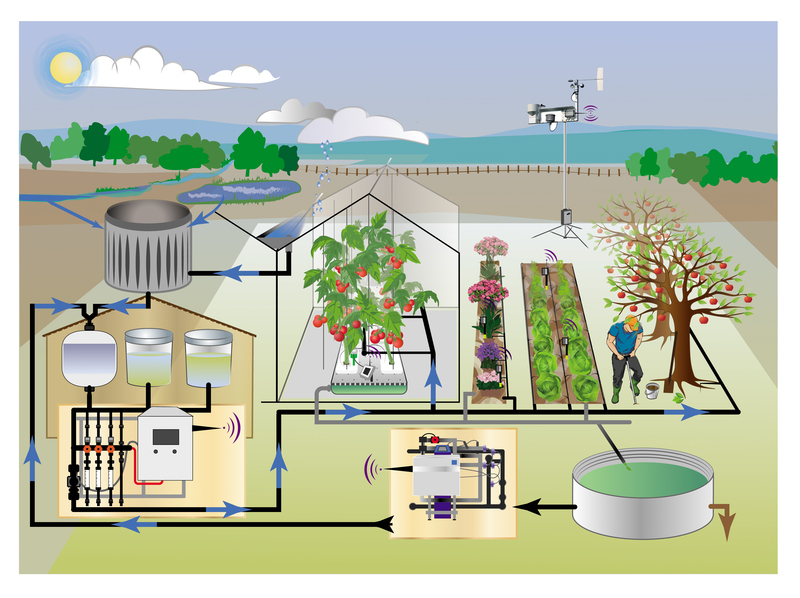 For example, a South-African technology to desalinate groundwater will be introduced in a Spanish greenhouse. This technology offers the possibility to recover the sodium as a fertiliser that could be used in the greenhouse. Exchanged technologies will be showcased on semi-field to field scale allowing practical evaluation of the technologies. All tools, databases and other resources generated will be shared within the consortium and the stakeholders’ group and will be made available to the broader scientific community, policy-makers, the industry and the public at large. FERTINNOWA will provide growers with effective information and dissemination tools in the different languages on how to implement and use the appointed technologies.